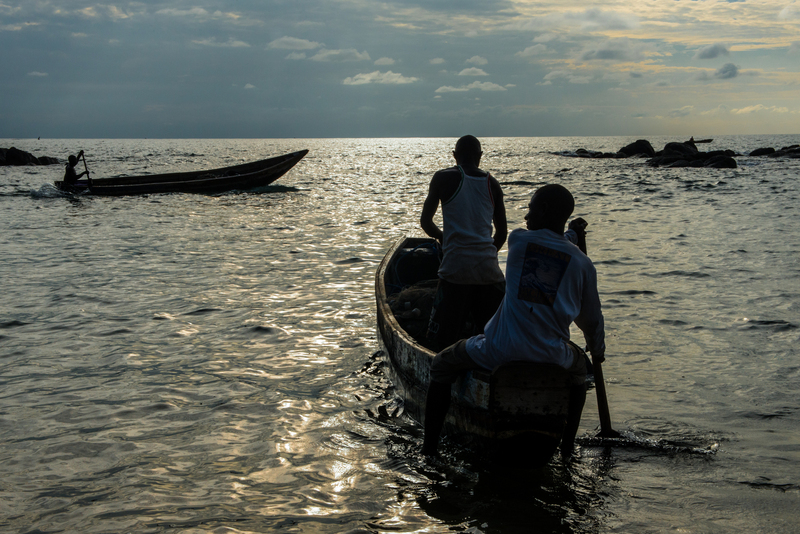 John Obey fishermen head out at sunset for a night's work. The fish stock has been drastically reduced from years past due to illegal fishing by industrial trawlers. The fisherman are forced to paddle further out to find fish making their work much more dangerous and less profitable.